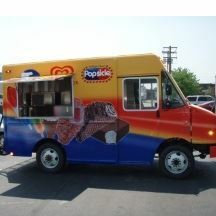 Food and Ice Cream TrucksContact us custom quote and for further information and specifications. Please check all building, vending and local health codes before ordering. Why Food and Ice Cream Trucks? There’s no doubt about it – catered venues, event goers, college students, and working people love their food! From the streets of our cities, rural roads, sports events, picnics, to fairs and beyond, it is not uncommon to see a long line at food concession trucks of all kinds. Because of the high demand for tasty food at all these kinds of events, you need a top-notch food truck, suited for all of your needs! Whether you’re offering food and drink or merchandise and souvenirs, we’ve got you covered with a wide array of food vehicles, including frozen food truck selections for any ice cream vendor. You’re sure to be the go-to for all event goers. Here at All Star Carts, we’ve got a variety of food trucks for sale, with options for every commonly vended food and drink to the gastronomic gourmet. With All Star you are assured of a success, if you’re looking for a reliable food truck manufacturer, choose All Star Carts! We are dedicated to making exceptional food vehicles, providing specialty selections to hot food vendors and high-end ice cream trucks for a variety of individuals.